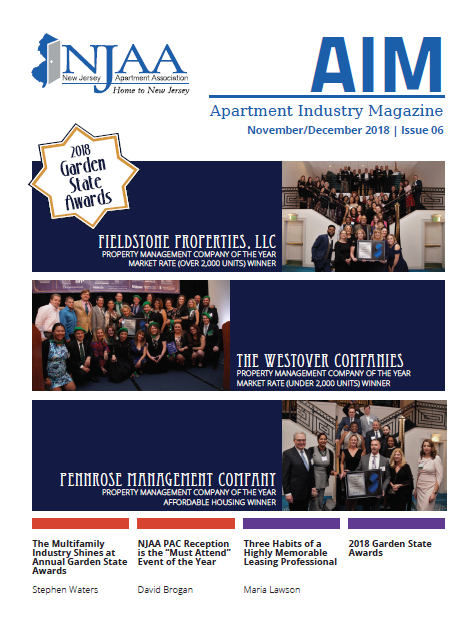 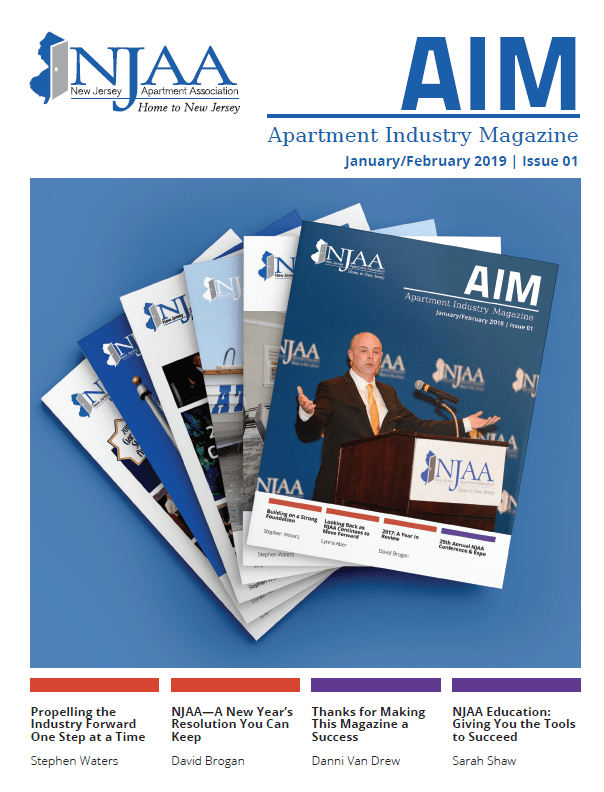 Apartment Industry Magazine (AIM), the flagship publication of NJAA, is a multifaceted and award-winning magazine that is produced six times per year. 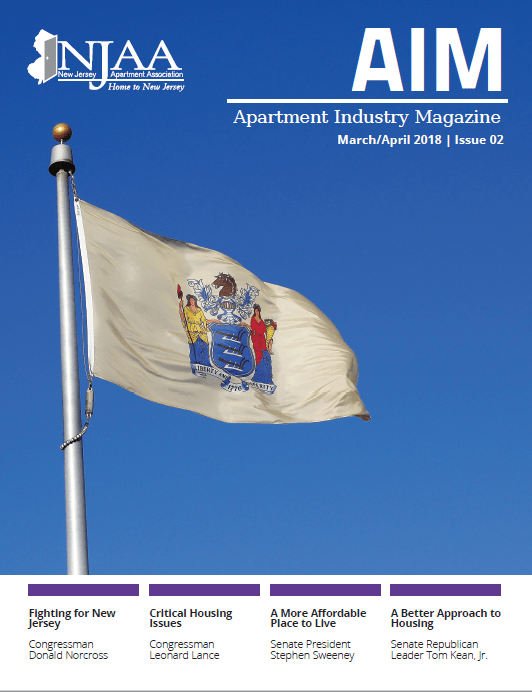 With a circulation of over 4,000, AIM reaches property owners representing over 200,000 apartment units across New Jersey, the vendors that service the multifamily industry, business industry stakeholders and elected officials. 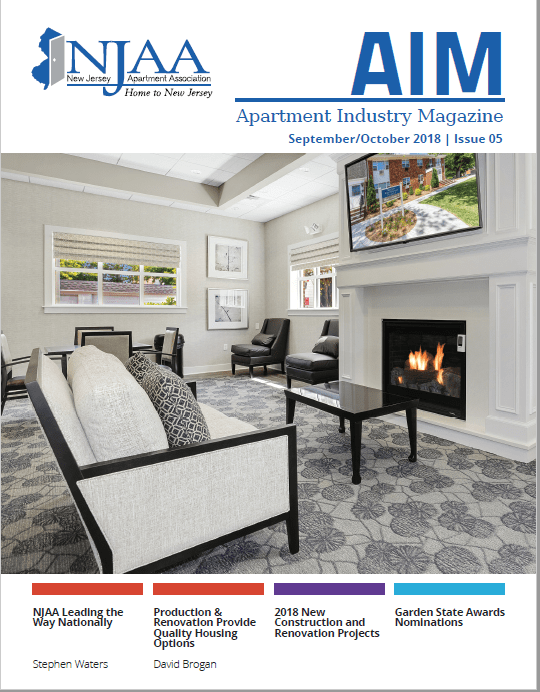 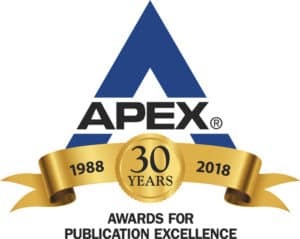 NJAA’s Apartment Industry Magazine is the proud winner of 2018 & 2017 Awards of Excellence from the Apex Awards for Publication Excellence and the 2017 Award of Distinction from the Academy of Interactive and Visual Arts for creative excellence. 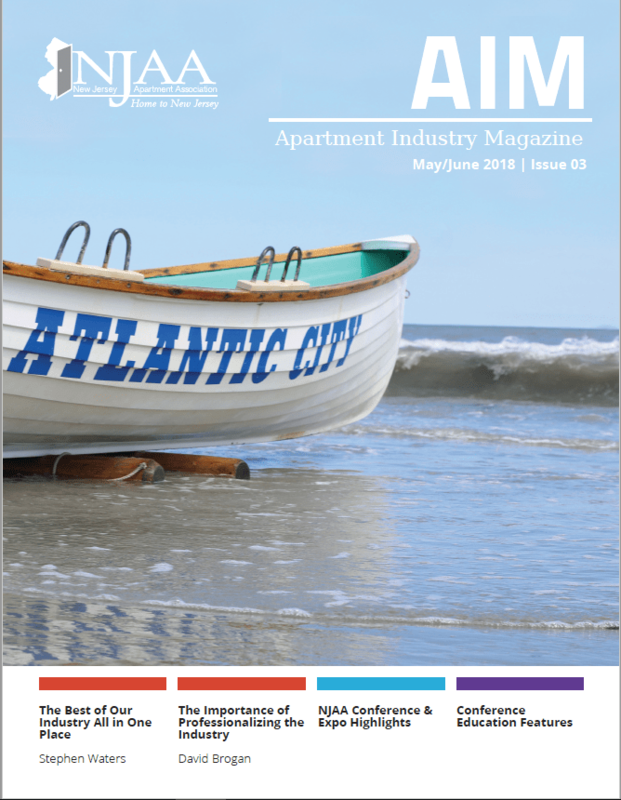 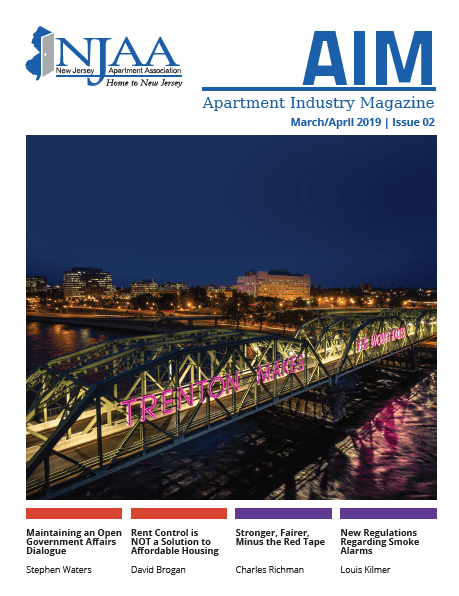 AIM is New Jersey’s only publication focused solely on the multifamily apartment industry. 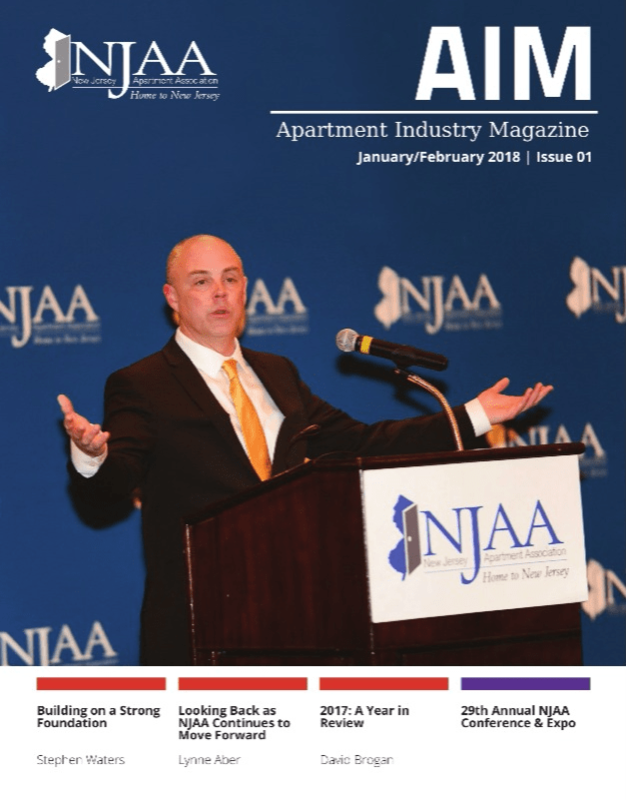 Our readers are the thousands of property owners and managers that represent over 200,000 apartment units across New Jersey. 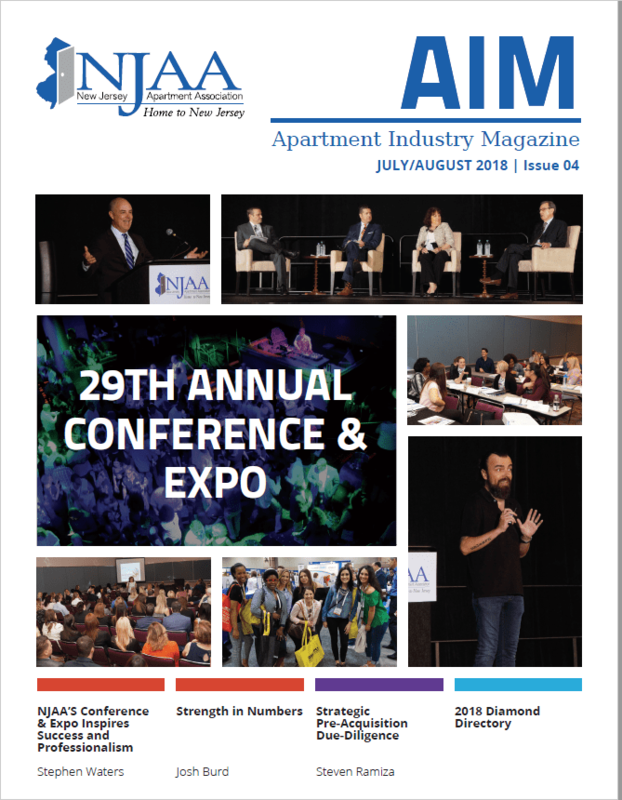 Advertising in AIM guarantees your product or service will be seen by the multifamily industry’s top leaders in the region.